A leading industrialist said that Nepal could serve as a bridge for trade between India and China, thereby reducing cost and transportation time. Kathmandu: Landlocked between two economic giants, India and China, Nepal can serve as the bridge for trade between the world’s two fastest-growing economies, a win-win situation that reduces costs and transportation time, a leading industrialist has said. “Nepal could be a corridor to move goods between India and China that cuts down transport time and saves money. It is in a fantastic position to create a win-win situation for all three,” Vaidya said. He pointed out that Nepal borders the lesser developed parts of both neighbours,” Suraj Vaidya, a past president of Nepal’s industry chamber FNCCI said at a panel discussion with Nepali Finance Minister Yuba Raj Khatiwada. “Nepal has Tibet on one side, which is a remote region sparsely populated, while on the Indian side there are the populous states of West Bengal and Bihar,” Vaidya, who heads the diversified VOITH group added. The event was held as part of the two-day Nepal Investment Summit 2019 organised by the Investment Board Nepal (IBN) and the World Bank to promote the Himalayan nation as an investment destination post the political stability ushered in by the new constitution adopted in 2015. The third of its kind after 1992 and 2017 , the summit was attended by potential investors from 40 countries, apart from top officials of multilateral agencies like the Asian Development Bank (ADB), World Bank and International Finance Corporation. The ruling Nepal Communist Party (NCP) enjoys two-thirds majority in Parliament. The Chinese and Indian presence dominated at the summit, where, out of over 700 foreign delegates participating, 265 were from China and 120 from India, according to the IBN. As many as 77 viable projects (50 public and 27 private) worth $32 billion were showcased at the event. Vaidya said while the situation is “tough” for a a small country sandwiched between the “giants” India and China, Nepal’s location can also be turned into its advantage. Asian Infrastructure Investment Bank Director General (Investment Operations) Dong-ik Lee said logistics is a high return and high value added sector that Nepal can leverage, being located between China and India. ADB Vice President (South Asia/Central and West Asia) Shixin Chen highlighted three sectors that Nepal can leverage based on its location – supply chain logistics, infrastructure and tourism. Multilateral Investment Guarantee Agency CEO Keiko Honda suggested that Nepal diversify its search for investments by attracting competitors from countries other than India and China. The Managing Director and Asia Head of Bengaluru-based CDC India, Srini Nagarajan, whose company has major investments in Nepal, suggested that a hedging mechanism be devised for the Indian and Nepali currencies to further facilitate bilateral trade and investment. Finance Minister Khatiwada, who was the central bank’s Governor between 2010 and 2015, in his response noted that Nepal is at the end of its fiscal and political transition, which would be complete by next year. “Nepal is in transition now, moving towards giving higher role to the private sector in terms of taking it as a catalytic source of growth and sustained development process of the country,” he said. He pointed out that Nepal has reduced poverty by 1 per cent every year over the past 20 years despite a prolonged Maoist conflict it went through. “Social mobilization and community participation has been an important factor in managing and maintaining development in Nepal,” Khatiwada said. 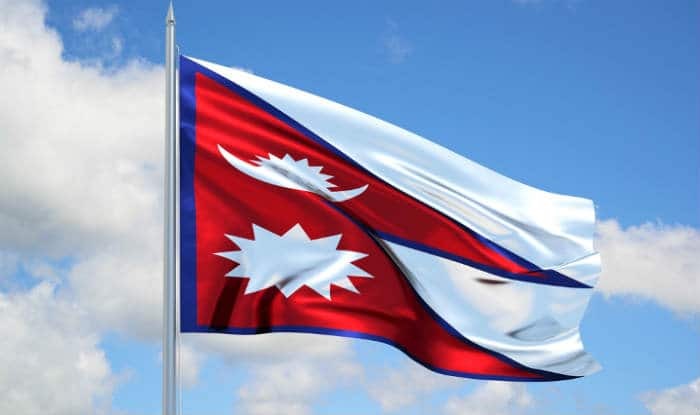 The minister told reporters that the Nepal needs investment of about $20 billion per annum, of which the government and domestic private industry could provide around $5 billion each, requiring the balance $10 billion to come from foreign investors. Noting that the globalised world today offers very few “white spots left to discover, World Bank Country Manager Faris Hadad-Zervos told reporters that Nepal has a lot of potential but its business environment needs to be even more competitive than its neighbouring giants. “Accountability has been missing in the delivery of projects. Laws are important but not a sufficient condition to ensure that private sector opportunities are actually implemented at the local level,” he said. At the summit inauguration, Nepalese Prime Minister K.P. Sharma Oli described the country as “virgin land” offering tremendous opportunity for investment, and said Nepal will “actively pursue” bilateral investment protection treaties with foreign countries, as well as Double Taxation Avoidance Agreements. “A very important part of the Peace Agreement (ending the over decade long Maoist insurgency) has been the integration of ex-combatants into the army. Nepal now wants to focus on economic development and prosperity,” he said.